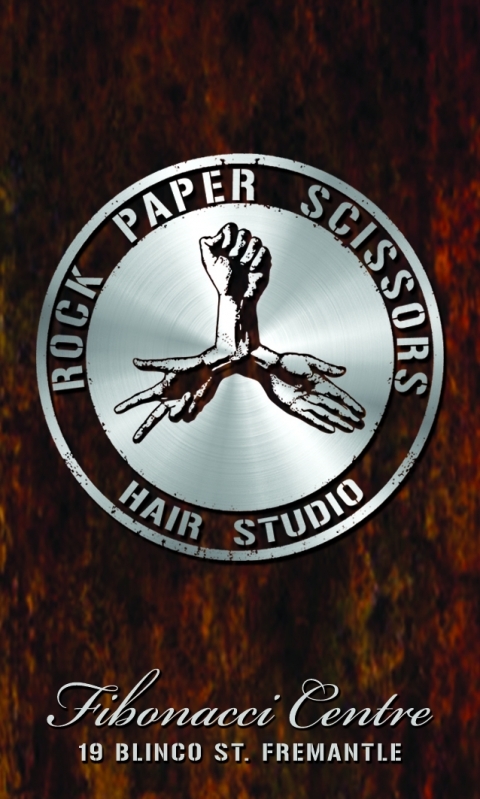 As one of our preferred partners, Rock Paper Scissors hair salon in Fremantle have made a generous offer to our clients. 10% off all services! Michelle and I both use RPS, and I can tell you, nobody can colur and cut hair like these girls. After years of struggling and hating my hair cuts, finding them was a godsend. Rock Paper Scissors hair studio offers clients an intimate boutique salon experience, with highly experienced stylists who are consummate professionals in cutting and colouring. But it is so much more than a hair studio. Rock Paper Scissors is also a part of the vibrant Fibonacci Centre, a hive of artists and creative people. “I’m finishing my Fine Arts Degree and wanted to combine my passions for hair and art” says owner Pauline McCabe. “That’s why I chose the Fibonnacci Centre”. Surrounded by artists, designers and the glorious Mac cafe this is a truly original space. The interior has an authentically industrial feel which reflects the centre and its working heritage. Pauline McCabe is a highly experienced stylist who has previously owned a successful salon in London and has worked on the London, Sydney and Melbourne Fashion Weeks. She has also been an International Educator and Artistic Director with some of the biggest names in hairdressing. The team at Rock Paper Scissors pride themselves on their technical skills and custom cut shapes and colours. They keep up to date with new and coming styles such as baliage and marbling to compliment advanced and classic cuts as well as their clients’ personalities. “We make a great team, offering a wide range of experiences and passions” says Pauline. “But at the end of the day it,s not about us – it’s about our clients. We are here to serve our clients. We conduct thorough consultations to ensure we provide a salon experience that reflects peoples own individuality. Our mission is to make each and every client look and feel fabulous every time they visit”.